A good friend of mine moved to Austin shortly after we graduated college. When I told her Ryno and I were moving to Austin she invited me to join her book club, and tonight is the first time I will get to attend. We are gathering a list of books to read throughout the next year. I am excited to bring along some suggestions, since I have a substantial list of books I have been wanting to read. Currently, I am listening to an audio-book version of my all time favorite novel, Pride & Prejudice by Jane Austen. 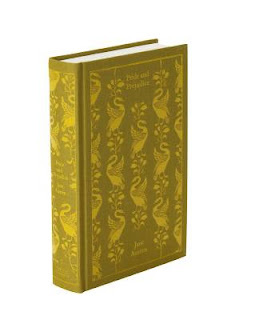 I've started collecting interesting or beautiful copies of Pride & Prejudice. Most recently I added the Penguin Classic addition to my collection. 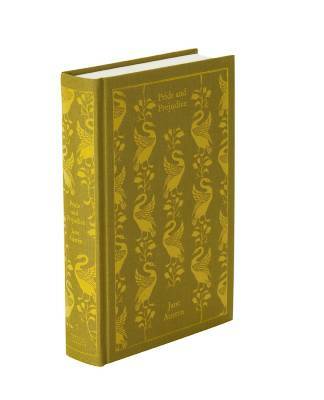 I love how beautiful the fabric covers are on the new Penguin Classics.